As mentioned from an earlier post, I am not a big fan of the most overpriced meal of the day a.k.a brunch, however I’ve decided to be more open minded and give different places a go. The first brunch place since my “change of perspective” being Common Galaxia. It is the ideal place to go on a nice warm day, although I still think it was a bit overpriced (I have yet to find a brunch place that isn’t… any recommendations?). The restaurant is trendy and modern with large windows inviting the relaxing sunshine, and is furnished with clean wooden tables and chairs. It’s got a cosy feel to it, which makes you feel like a local there. The staff was quite friendly and helpful with the menu and service was quick. Smoked salmon on sourdough w/ spicy avocado puree, 2 poached eggs w/ tomato & herb salsa ($18.50) – I thought this was quite a nice dish. I’m usually not a fan of tomatoes, especially eating them by itself but Common Galaxia may have converted me. I could’ve eaten those tomatoes all day, it was nicely dressed with a tangy yet sweet taste. The salmon went great with the sourdough bread and my oh my, that spicy avocado puree was just an explosion of flavour. 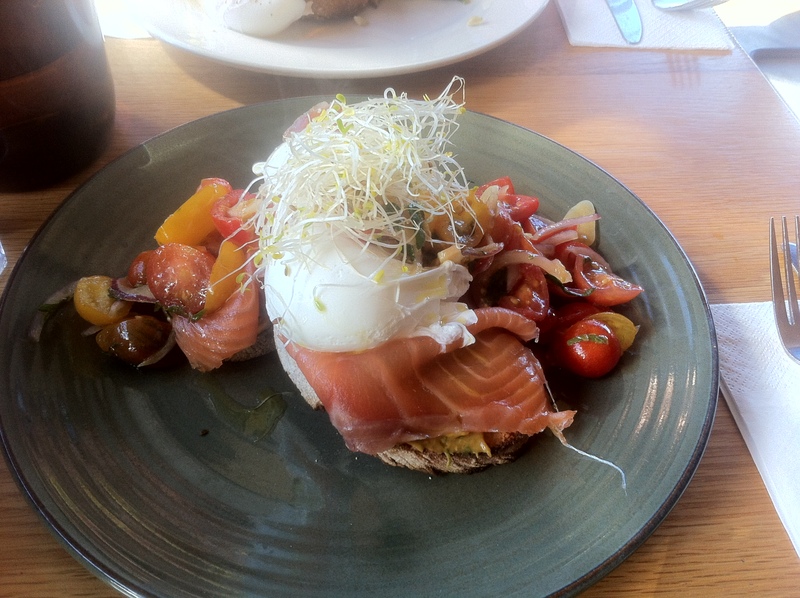 However, the poached eggs just killed it for me; they were a tad overdone and made the dish very heavy. The meal would have been much better without them (deduction of one point for each poached egg haha)! 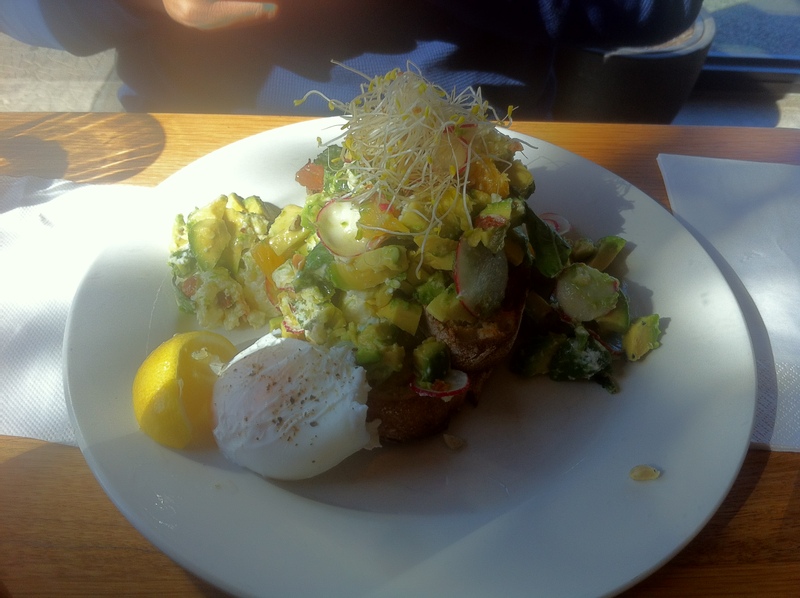 Avocado w/ blood orange, marinated goat’s cheese, basil, almonds & radish on toast + extra poached egg ($16.50 + $2.50 = $19) – A.T seemed to really enjoy his meal and also agreed that his dish didn’t need that added poached egg. I was able to grab a couple of forkfuls of his brunch and I loveed it! Just when you think the creaminess of the avocado is too much, you are hit with the great texture and crunch from the almonds and a burst of harmonious flavours of salty and tart from the blood orange together with the goat’s cheese. A very well thought out menu.